The United Kingdom is the world’s foremost leader when it comes to the use of CCTV systems to protect the public trust. 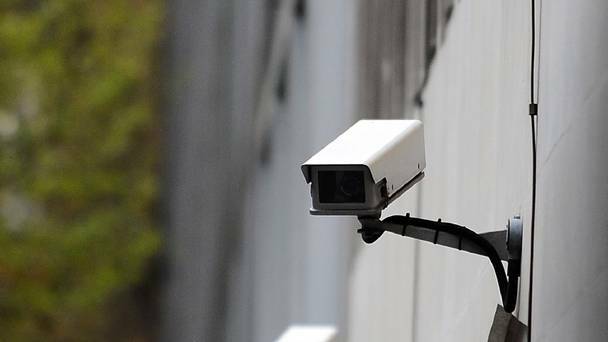 There are more closed circuit television systems in the UK than anywhere else in the world and London is among the world’s leaders in terms of electronic surveillance. All of this has helped the city to clean up crime and provide citizens with a greater sense of safety while going about their daily business. Thanks to advancements in technology, it’s also become easier for the smaller business to join in and make CCTV part of self-defence. To be truly effective, CCTV systems should be equipped with a live warning system. This system automatically recognizes any predetermined objects like people or changes in the scenery and when triggered it alerts the security control center. From there they can issue live audio warnings to the intruder, which has proven to be an efficient technique. This way the user gets faster reaction time and a chance to minimize or prevent any damages. Businesspeople have found that this is a particularly useful feature, since it may allow them to notice individuals who are “casing” a business. Burglars who intend to rob a business usually become aware of the schedule of that business — not just the times posted on the signage, but other information such as when the proprietor comes and goes. Live warning CCTV can add an extra layer of protection by making you aware of this. In the daytime, robberies are less likely to occur, but they certainly do happen, especially at locations like gas stations and banks. While the main function of installing cameras in your building is to provide security for business, there are other reasons to have the live warning option. If you have run into an issue of slacking employees, you can use the live warning system as a way to keep tabs on your workers. After all, you are paying them to get the job done, and if they are continually found wasting their time and your money, you will have grounds on which to fire them. You can also ensure that your company’s assets are not being taken advantage of by your employees when you have a security monitoring system in place. Retail locations have the potential to be robbed in daylight, but protection is also necessary when the lights go out for the evening. This requires cameras to be placed both inside and outside the facility. IR, or infrared, cameras are ideal for seeing dark entrance areas in the middle of the night. Any time a warm image, like a human body, comes onto the screen they will glow brightly, making an unmistakable image for the live warning software. Businesses that sell high-priced items like electronics, jewelry, and anything high-end are most likely to be robbed at night when the unsuspecting robber thinks he has the element of surprise. Of course, CCTV systems are also excellent for loss prevention. It is no longer adequate to have a company install a fake system and merely make patrons aware of it — savvy thieves have realized the subtle visual differences between real cameras and props. Through CCTV, you will be able to review and investigate the activities of everyone who visits your shop. A good 30% of annual losses in retail can be attributed to employees; CCTV helps you locate anyone in your organization who isn’t upholding the highest standards of honesty. In the past, CCTV systems could be rather fiddly, as you had to ensure you had appropriate backup media in place at all times. Nowadays, a good CCTV system will have a built-in live warning system that keeps eyes on your valuables 24/7 at a very affordable fee.